Looking for an action-packed way to finish off 2011? 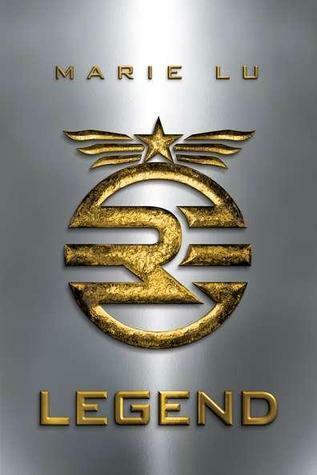 Well then, Legend is the book for you! This month, we have author Marie Lu on the program to tell us all about it, as well as discuss her lifelong journey to becoming a published writer, the influence of video games and anime on her work, and more. We had so much fun chatting with Marie! In this episode, Allison and I also share our book picks of the month - Across the Universe by Beth Revis and Bloodrose by Andrea Cremer, and we're happy to announce that Beth and Andrea will both be joining us on Authors are ROCKSTARS! in 2012. So excited! 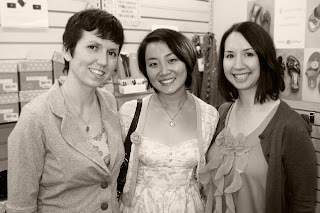 Thanks again to Vroman's Bookstore in Pasadena for being such awesome hosts and friends of the podcast. We love you guys! Would you like to download this podcast? Click here to download a mp3. Don't forget - we're also on iTunes! Before I sign off, I wanted to let you know that we now have a CafePress shop. It's pretty simple right now, but if you want to give the gift of Authors are ROCKSTARS! swag, it's the place to go. All of the money raised goes to our prize fund to be able to do even more signed book giveaways in 2012. Thanks again for listening! Please drop us a comment to let us know what you think of the podcast. Congratulations to Janina for winning our giveaway. We'll get this awesome book out in the mail to you right away. Hosting courtesy of archive.org. Intro music by 46bliss. Our song of the month is Not My Home, by Kate Pffafl (now Mighty Kate). Be sure to subscribe to Authors are ROCKSTARS! via iTunes. Fantastic interview, as always! Can't wait to read this book. One question--how do you both select your song of the month? Is it themed to the author/books you're highlighting? Love this month's song! Everything I hear and read about this book makes me want to get my hands on a copy! Lovely interview! I am so jealous-- she seems absolutely lovely. Awesome interview! I am so jealous--she seems absolutely lovely!